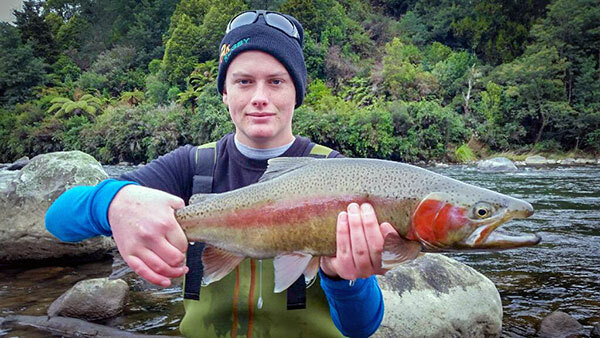 Col Twisleton trout fishing Turangi caught this male rainbow trout in spawning colour. 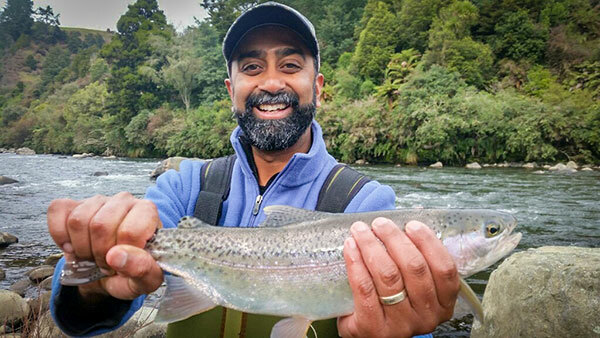 Russell Smyth, son Alex and good friend Nikhil stayed in Turangi at Tongariro Lodge, while fly fishing the Central North Island catching rainbow and brown trout. 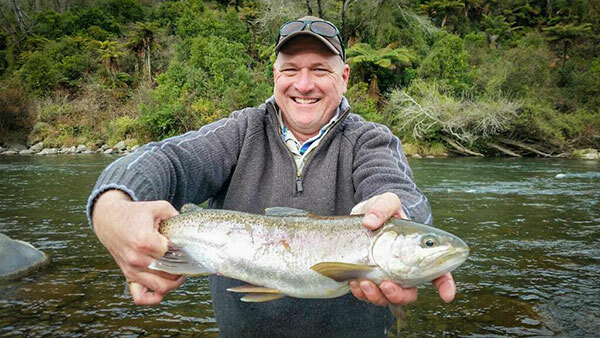 Very cold morning here in Turangi with ice on the road and fog down low up to mid day. 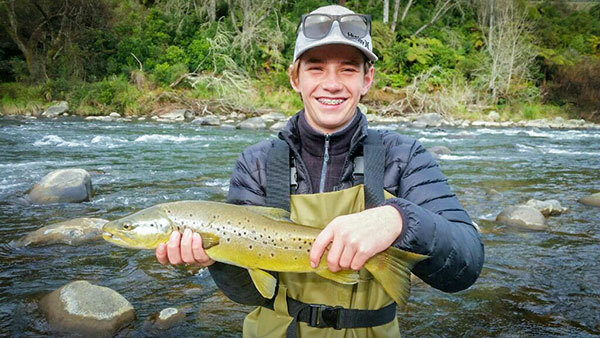 Sun arrived afternoon with another superb central North Island day. 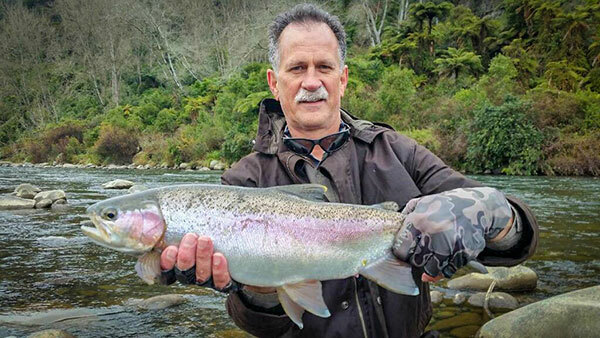 Peter caught himself some very nice rainbow fly fishing.